RSVP for this event below. NYCRD readers have an extended RSVP deadline until tonight - it originally ended on Friday. Enjoy! - Live patient injection demonstrations by Dr. Pfeifer using Sculptra®, the latest FDA approved filler. 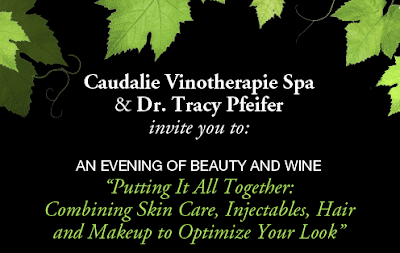 - Caudalie experts share advice for lifelong beauty and health. - Joel Warren and Edward Tricomi share cutting edge hairstyle and color tips to maximize your look. - Eve Pearl expert makeup to accentuate your features.